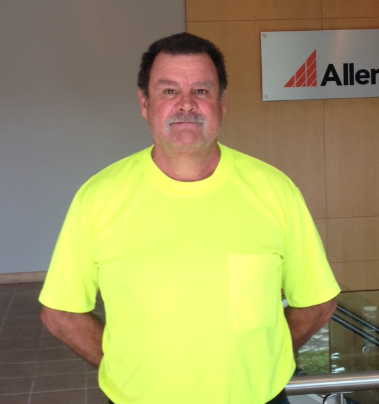 Please join us in welcoming Tim Tuel to the Allen and Shariff Team. Tim started September 2nd, in the Construction office as the Site Superintendent for the Quantico project. Tim has over 30 years of experience in the commercial/concrete construction industry and previously worked for Fru-Con Construction Company and MEC Construction. 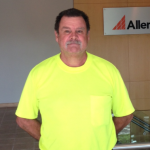 Tim lives with his wife in Front Royal, VA, and in his spare time, he enjoys fishing. Please join us in giving Tim a warm Allen & Shariff welcome! Allen & Shariff provides Engineering, Construction, and Project Management services to clients worldwide. Allen & Shariff services include MEP Design, Commissioning, General Contracting, Project Management, Green & Energy Consulting, and Project Financing. Allen & Shariff was founded in 1993 as an engineering consulting firm based in Columbia, MD. The company has evolved into a multi-discipline professional service provider worldwide. The skills of our people, our proven sub-consultants, and our commitment to quality service and client satisfaction make the Allen & Shariff team a valued and trusted partner.